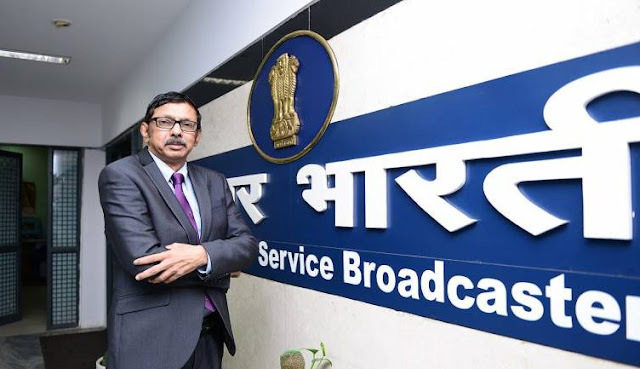 A. Surya Prakash has been re-appointed as the Chairman of Prasar Bharati Board. President Ram Nath Kovind approved the appointment on the recommendation of the Selection Committee. The term of the tenure will be February 8, 2020. Earlier in October 2017, he retired from the post of Chairman. Prasar Bharati established by a 1990 Act of Parliament, as an autonomous body. It is India's largest public broadcasting agency. It comprises of Doordarshan television and All India Radio. Sunil Kumar Chourasia has been appointed as the new Director General of Ordnance Factories (DGOF) and Chairman of the Ordnance Factory Board (OFB). Earlier, he was the member of Ordnance Factory Board and was in charge of Material & Components division. Dia Mirza has been appointed UN Environment's Goodwill Ambassador for India. India is re-elected to the Council of the International Maritime Organisation. India secured the second-highest 144 number of votes from member countries, after Germany’s 146 votes. YK Sinha, India’s ambassador to the UK, represented India at the assembly in London. India joined the International Maritime Organisation Council as a member in 1959. The International Maritime Organization (IMO) is the agency of United Nation which plays an important role in relation to the global shipping industry. It was established in 1959. The IMO has 172 Member States and three Associate Members. The 22nd meeting of the Small Farmers’ Agri-Business Consortium held in New Delhi. The meeting was chaired by Union Agriculture and Farmers Welfare Minister Radha Mohan Singh. The Small Farmers Agribusiness Consortium (SFAC) is an autonomous society established in 1994 and is registered under Societies Registration Act 1860. It is promoted by Union Ministry of Agriculture, Cooperation, and Farmers’ Welfare. SFAC is also registered as Non-Banking Financial Institution (NBFC) by Reserve Bank of India (RBI). The Union Cabinet has approved the setting of National Nutrition Mission (NNM) with an outlay of 9046.17 crore rupees for three years. The function of NNM is to monitor various schemes contributing towards addressing malnutrition. It is an apex body under Ministry of Women and Child Development. The growth of Core sector has grown till 4.7% in the month of October 2017. The data is shared by the of eight core industries released by Ministry of Commerce and Industry. This is the highest core sector growth since March 2017. The eight core sectors include - coal, natural gas, crude oil, refinery products, cement, fertilizers, steel, and electricity. The number of transactions on the Unified Payment Interface (UPI), has crossed 10 crores mark in November 2017. UPI is a mobile-digital payment interface which is introduced by the National Payments Corporation of India (NPCI). In August 2017, the transactions on UPI platform is around 1.66 crore. In September it crossed up to 3 crores and which increased to 7.67 crores in October. Amit Shah, President of the Bhartiya Janta Party (BJP) named as the Yahoo’s Personality of the Year. Prime Minister Narendra Modi was the most searched personality and bags Yahoo’s People’s Choice Award for Personality of the Year 2017. Most Searched Male Celebrity - Vinod Khanna, who passed away this year. The 31st edition of the Konark festival begins in Odisha. The festival held every year from 1st to 5th December. The objective of the festival is to promote the diverse Indian dance heritage as well as the popularity of Konark Temple and Odisha as a tourist destination. Many celebrated dancers from all over the country perform in this festival. The festival was first stated in 1986 which is organized in the state jointly by Odisha Tourism and Odissi Research Centre. Veteran lyricist Gulzar has come out with his novel ‘Two’ which is a debut novel in English. The novel revolves around the area of Punjab which became Pakistan after Partition. The novel was originally written in “Urdu’ later it translated into the English form. Former woman cricketer of India & Coach Sreerupa Mukherjee passed away in Kolkata. She had played two One Day Internationals for India against New Zealand. She was also the cricket manager of the Indian women’s team during three World Cups — 1993, 1997 and 2000.